This industry has long had a love/hate relationship with government rebate programs. 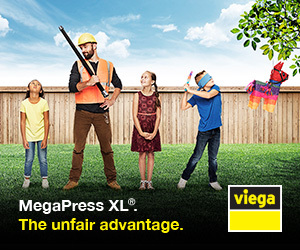 When rebates are in place, contractors are busy and everyone's making money. But if there are no rebates, then people tend to hold off upgrading their HVAC systems until the next rebate program comes along. And there will always be another one, or so it seems, and that skews business for the industry. In 2006 the Conservative government under Stephen Harper shut down the EnerGuide for Homes rebate program. Well, it was a Liberal program after all. But it didn't take long for the Conservatives to launch their own program – the Eco-Energy Retrofit Homes program. It ran for about five years until 2012 when the federal government suddenly, without notice, shut that down, leaving wholesalers and contractors alike up the creek with equipment they couldn't sell and contracts they couldn't fulfil. 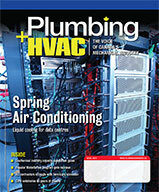 If you read the last issue of Plumbing and HVAC, you know that the Ontario geothermal industry is optimistic in part because the Ontario government has announced significant rebates for the installation of heat pumps financed by the province's "carbon market" – 4.3 cents on every litre of gasoline, cap and trade auctions, etc. But this could all change overnight. There is a provincial election June 7. The Conservatives are way ahead in the polls and have promised to do away with carbon taxes – so no more money for rebates. I suspect a lot of wholesalers and contractors are not investing too heavily until they see what happens with the election. Likely, it's going to be boom to bust again. The other issue with rebates is the money attracts all kinds of sketchy people and companies into the industry. With the federal programs, we saw companies suddenly spring up, calling themselves things like 'EnerGuide Contracting' and 'Eco-Energy Contracting'. I would like to see their trade licenses. Interestingly, with the Ontario heat pump program, the government is having the Heating, Refrigeration and Air Conditioning Institute of Canada (HRAI) qualify the contractors. That should go a long way towards keeping the fly-by-nighters out. At the end of the day, rebates give certain sectors of the industry a temporary boost while hurting other areas. There’s a lot of cash out there right now for heat pumps and not much for high efficiency natural gas or oil – and that's a shame.